Trust Talk: Nutrition and Hydration week: Mealtimes matter at NUH. Nutrition and Hydration week: Mealtimes matter at NUH. Throughout this week we’ll be bringing you a series of blogs from staff to tell you how they are getting involved in Nutrition and Hydration week. Here is the first blog form Karen Draper and Libby Walters from ward B3. ‘Mealtimes matter’ is a Trust-wide campaign to improve the nutrition and hydration of patients and is something we take seriously on ward B3. One of the main principles is that all non-urgent tasks stop to prioritise mealtimes. However, B3 is a busy ward, admitting around 25 acutely unwell patients per day. Although we recognise the importance of ‘mealtimes matter’ we can’t avoid urgent tests and treatments during meals. If a patient does miss out on a meal because of a treatment or test, or because they were admitted to the ward after menu cards have been filled out, then we make sure we offer a replacement or alternative meal as soon as possible. It’s important that every patient receives a meal and that the meal is to their liking and meets their individual dietary needs. Good nutrition and hydration will boost mood, promote healing, reduce the risk of a fall and ultimately lead to a shorter stay in hospital and will always be a priority. We’re always looking for ways to improve meal times on the ward. 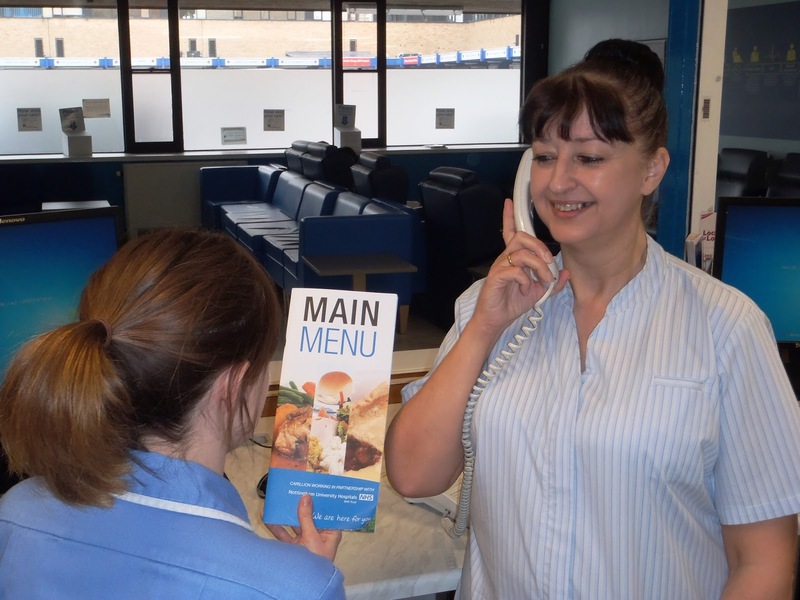 For example, we were the first ward to successfully implement the serving of all courses separately which has improved patients’ food intake.